There are some differences between an edcamp and a TeachMeet. The two biggest differences are that a schedule is predetermined, and morning sessions are only 20 minutes, with participants voting at lunch for 45 minute sessions in the afternoon (based on what they saw in the AM). I had the chance to run a session on one of the most interesting educational tools to "break out" on the scene, BreakoutEDU. The room was packed; always a good thing. Packed rooms, on weekends or days in the summer, always show me that there are educators all over that want to learn more and more on their time. The room was very intrigued and it appeared that some would be looking into the kit for the upcoming school year. 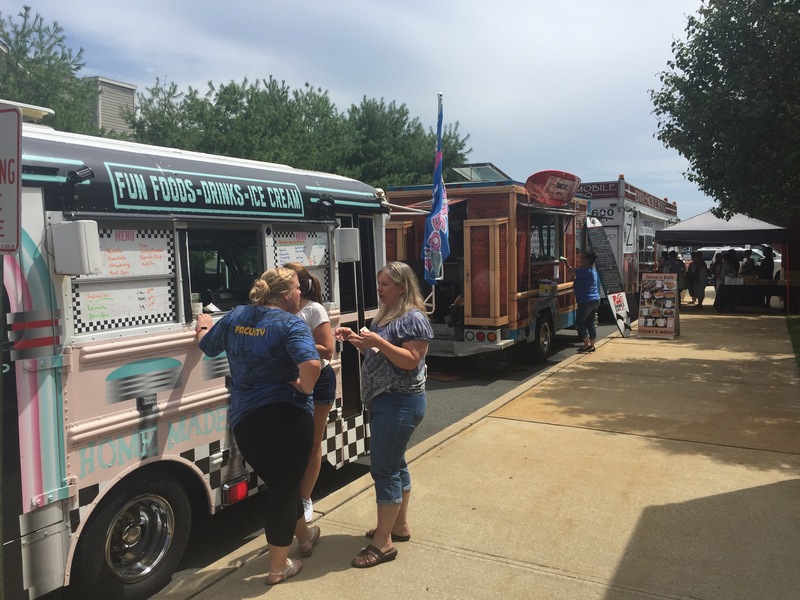 TeachMeet scheduled food trucks for lunch! I attended sessions on NextGen, Makerspaces, 8-bit gaming, and even gamification. And yes, I presented my annual Dirty 30 - now as version 4.0. 1) Seeing one of my teachers present her knowledge and skill set to others. She had a full crowd and lead the workshop with grace. I really have some amazing staff members. 2) Food trucks for lunch, with a $5.00 voucher to be used towards them. Ingenious. 3) 73...... 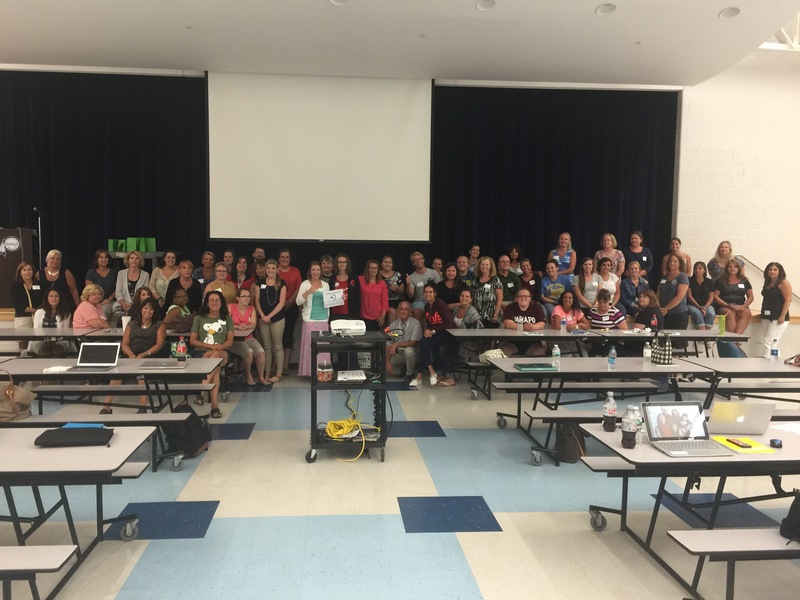 Yes, 73 teachers stayed for breakoutEDU; they broke-out in under 18 minutes. Pretty damn cool. 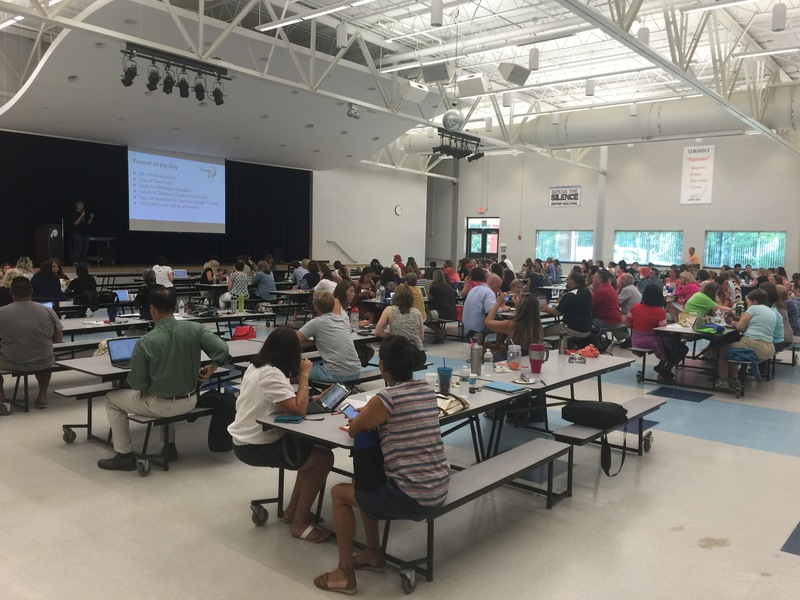 In all, one of the best PD days I have attended and facilitated this year. People left charged - the excitement was palpable. Here's to a great school year!